Ronald M. Green was a founding Partner in the law firm of Green Bryant & French, LLP, and now works as Of Counsel for the firm. Mr. Green is a plaintiffs’ lawyer trained by Gerry Spence with an impressive track record of successfully prosecuting construction defect and real estate cases of all sizes. In addition, Mr. Green handles issues relating to community associations, ranging from transactional matters to litigation. Mr. Green has authored numerous published articles on mold, water intrusion, construction, and homeowner association law, and is a frequent guest lecturer at Community Association Institute Chapter Meetings in Riverside and San Diego Counties. Mr. Green is a graduate of the prestigious Gerry Spence Trial Lawyers College in Wyoming. He is also a graduate of the Trial Lawyers College Graduate Program. Mr. Green has served as Judge Pro Tem for Riverside County Superior Court since 2005, and actively participates as a member of the Inns of Court, Warren E. Slaughter Chapter, located in Riverside County (2003 and 2004). Since 2004, Mr. Green has served as a volunteer Court Appointed Mediator and Settlement Judge in Riverside County Superior Court, Indio Branch. Mr. Green is a member of the litigation section of the Consumer Attorneys Association of California and serves on the committee reviewing new legislation that may affect consumers in California. In addition to handling some of the largest and most complex real estate and personal injury cases, Mr. Green has extensive experience in litigation involving product defects, insurance law, and construction. In 1995, he prosecuted and obtained what was considered at that time the largest elder abuse settlement in California history. In 2002, Mr. Green tried, and obtained what was considered at that time to be the highest personal injury verdict in Arizona history involving the types of injuries his clients suffered. The defense offered $100,000.00 collectively for two plaintiffs to settle the case – Mr. Green took the case to trial and the jury awarded 3.4 Million Dollars plus costs, fees, and interest. Mr. Green ultimately collected approximately 4 Million Dollars for his clients. Specifically, the Arizona case involved “soft tissue injuries” and questionable ulnar nerve damage to the right arm of one of the clients. In 2005, Mr. Green completed an eight-week jury trial on behalf an individual defendant in a real estate fraud case in San Diego. Plaintiff in that case was pursuing 1.3 Million Dollars in damages plus attorney’s fees and costs, which were anticipated to total approximately 2 Million Dollars. Mr. Green’s client was a licensed real estate broker and insurance agent facing possible loss of his business licenses and his career. After an eight-week trial, the jury returned a verdict in favor of Mr. Green’s client and awarded Mr. Green’s client his attorney’s fees and costs. Recently, during the first part of 2010, Mr. Green successfully completed a 13.1 Million Dollar confidential settlement and judgment against a California condo-converter. Mr. Green graduated from the University of California San Diego with a Bachelor of Arts degree in Economics and a minor in philosophy. 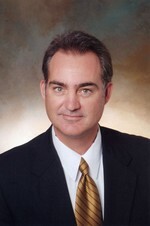 Mr. Green achieved departmental honors within his major and earned his Juris Doctor degree from the University of San Diego School of Law in 1990. He is admitted to practice before all the courts in California, Colorado, and the United States Federal District Court (Central District), and has successfully argued before California’s Fourth District Court of Appeal. Mr. Green has been a member and involved in the following professional Bar Associations: Riverside County Bar Association; orange County Bar Association; San Diego County Bar Association; Los Angeles County Bar Association; Beverly Hills Bar Association; American Bar Association; Litigation Section of the California Bar; Consumer Attorneys of California (CAOC); Association of Business Trial Lawyers, and American Trial Lawyers Association.